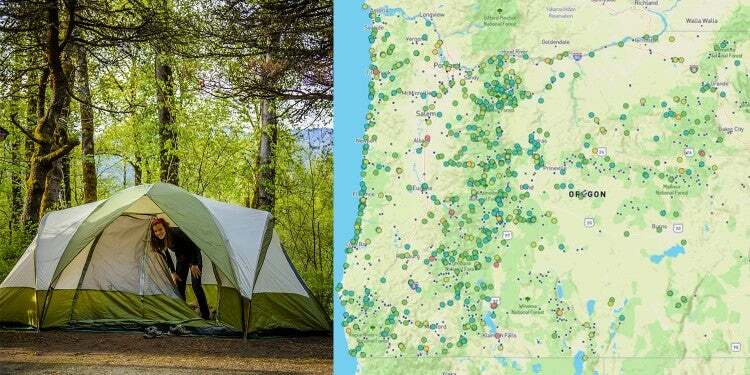 With over 75 million American households pitching tents and parking RVs at campgrounds across the country each year, it goes without saying that those 75 million households are camping for many different reasons. Some of us camp to break from the city, sit around a campfire, and enjoy a round of cold beer. 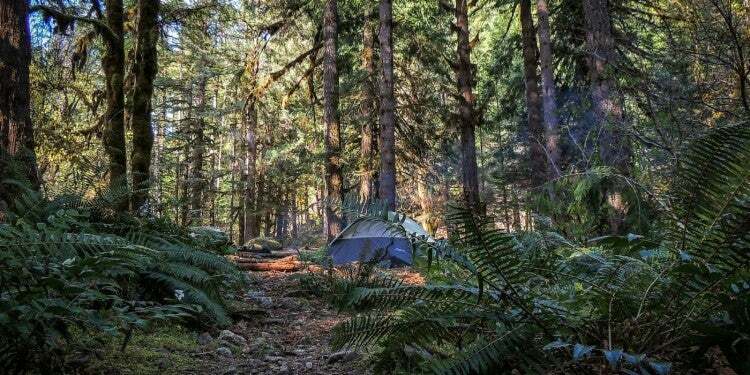 Others camp for the proximity to fishing, hunting, or climbing. 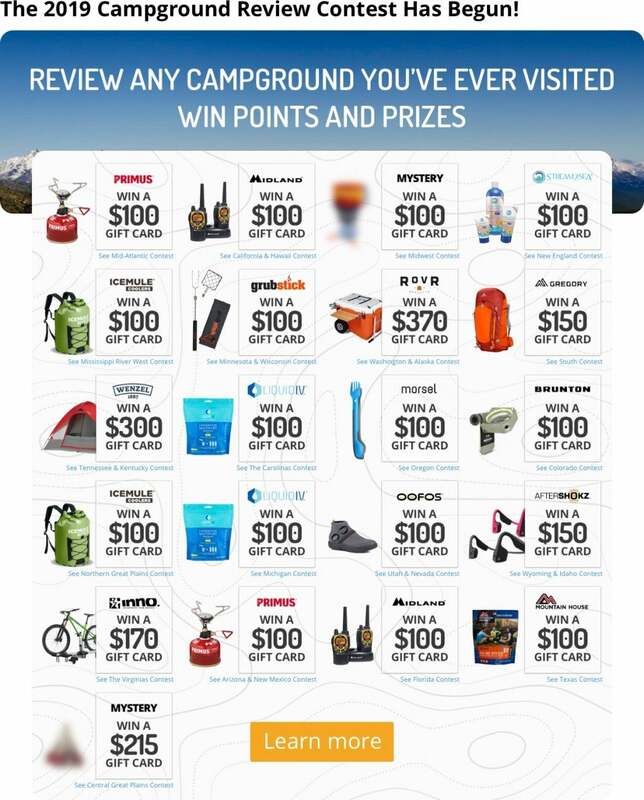 Then there are those of us who camp to ski. 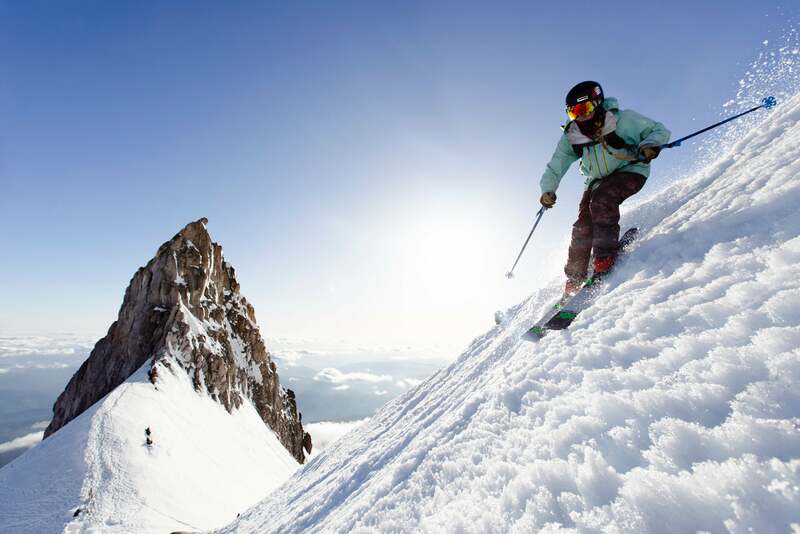 Traditionally, skiers and campers enjoy their respective sports in opposite seasons. We’ve seen campers brave the cold winter months and wake up to a snowy campsite. But most prefer to pitch their tents when the thermometer rests at 60 or above. In the Pacific Northwest where snow survives in the mountains for most if not all of summer, skiing doesn’t end when camping begins. So, I took an extended weekend for a ski trip and met up with the Snowledge.co team (who has the most epic tagline: Snowledge is Powder), for a day of spring skiing in the mountains around Bend, OR. For those who are unfamiliar, backcountry skiing involves hiking up undeveloped mountains, skiing down pristine powder, then hiking back up to ski again. It seems like a lot of work, and it is. But the solitude and fresh snow make the grunt work worth it. 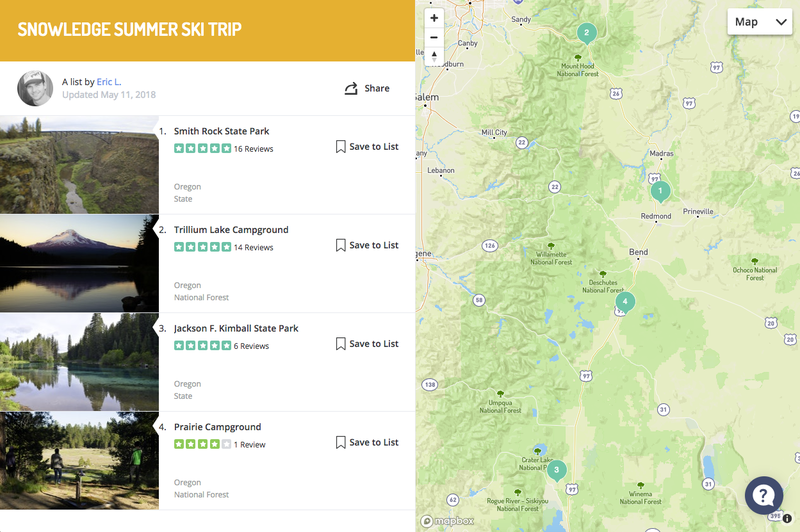 “We saw all the different ski apps that were out there,” said Eric, founder of Snowledge, “and we wanted to streamline.” In short: their app makes it easier to find friends in the backcountry. If you’re on a ski trip with a few of your buddies, and decide to take different runs, simply open the Snowledge app, which uses GPS to find their location, and locate them on the mountain. I took a trip down to Central Oregon from Portland late on a Thursday night. 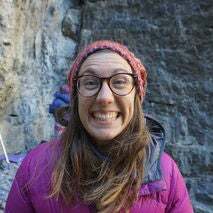 I stayed at Smith Rock State Park, one of the best areas in the state for hiking amongst desert landscapes and rock climbing on massive basalt walls. To get to Bend, the highway parallels 5 volcanos in the distance: South Sister, Middle Sister, North Sister, Broken Top, and Mt. Jefferson, all of which are skiable throughout the year. We met at Basecamp Coffee, about 20 minutes from the Mt. Bachelor ski area. At this point, the team had already skied Mt. 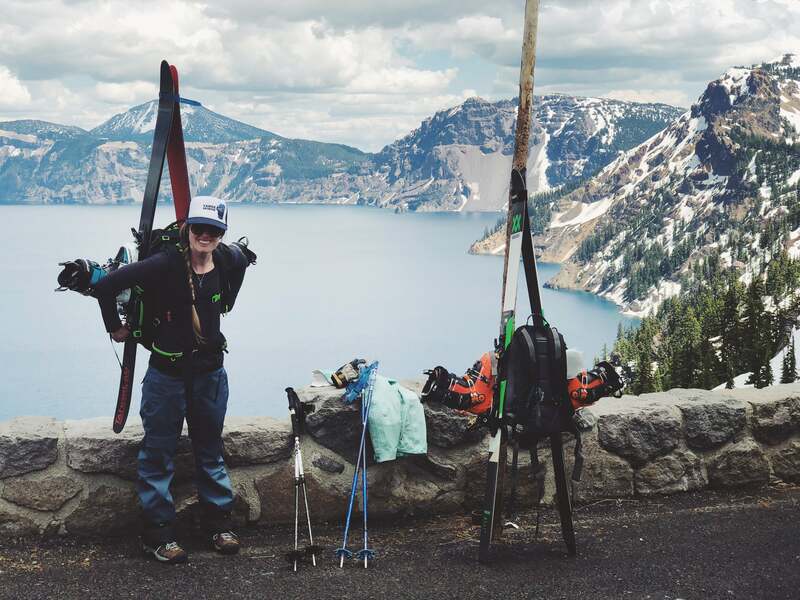 Lassen and Crater Lake, and was on day 3 of their #PacificNorthQuest. Their mission? 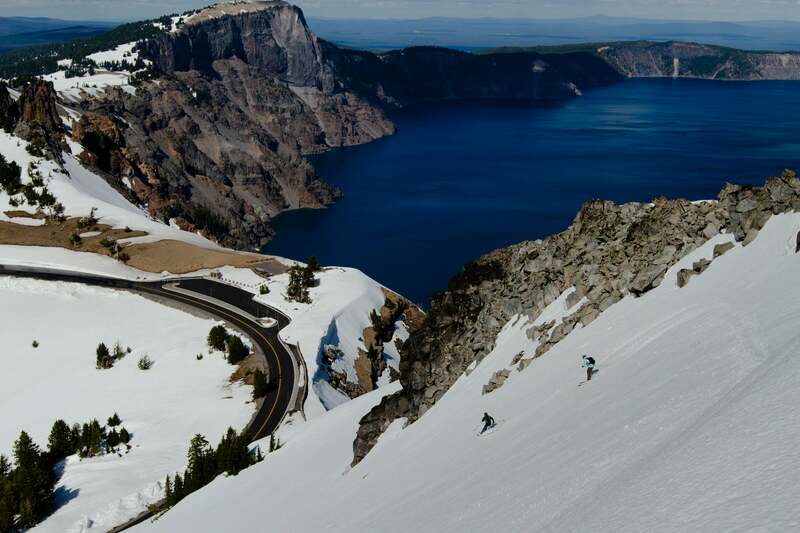 Compile a 3-5 minute ski video to promote Snowledge by skiing some of the most iconic volcanos in the Pacific Northwest. 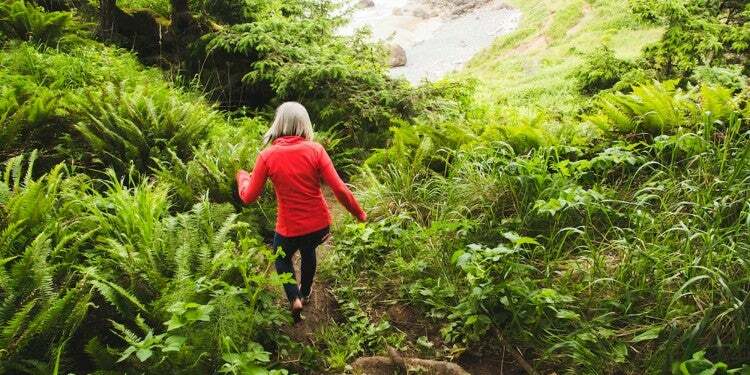 In the Pacific Northwest, your ski itch can be cured in December and July. Pacific Ring volcanos dot the Pacific Coast, and their high altitudes and glacial landscapes mean soft, mushy snow for skiers who are willing to hike to it (and generally, it’s a very, very long hike). Having a GPS-focused app like Snowledge during the summer months, when fewer folks are bagging snow-clad peaks, means you can find your friends if you’re ever separated on the mountain. 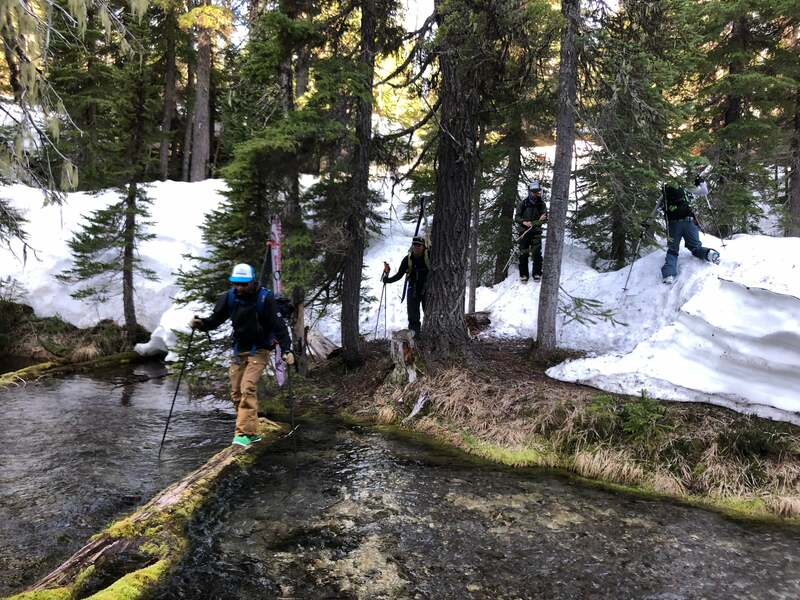 Based out of Tahoe in the winter and Portland in the summer, the team is used to chasing conditions. In this case, spring corn in Bend’s backcountry. 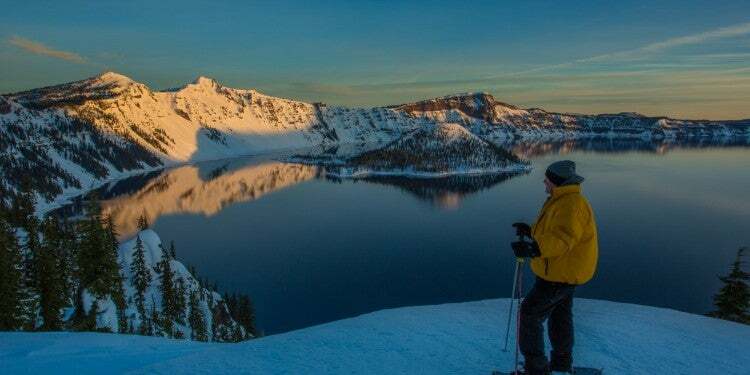 Their week-long ski trip started in Lassen National Park, and then they moved on to Crater Lake National Park in Southern Oregon where they skied near Watchman and camped at Jackson F. Kimball State Park. 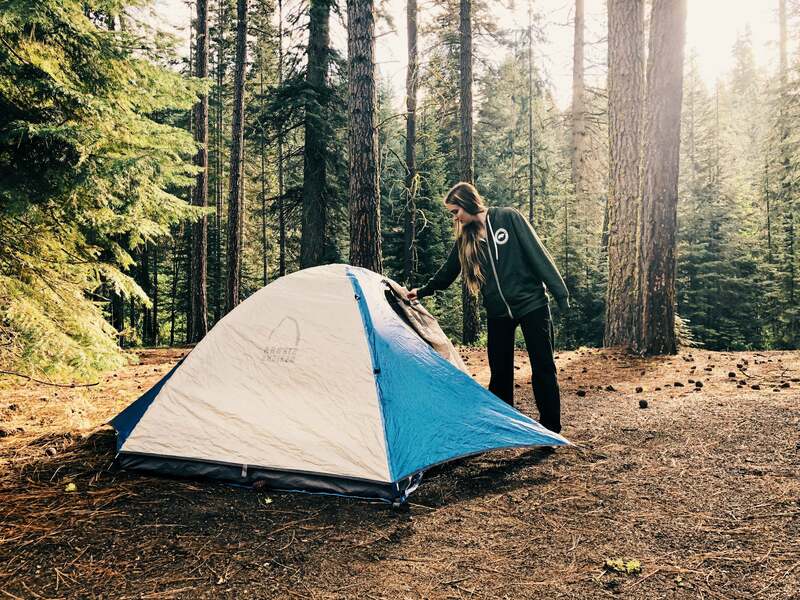 “After sleeping in our cars at the bottom of Lassen Peak, we were excited to find this tucked away and relaxing spot just off the road before Crater Lake,” said Eric about Jackson F. Kimball campground. 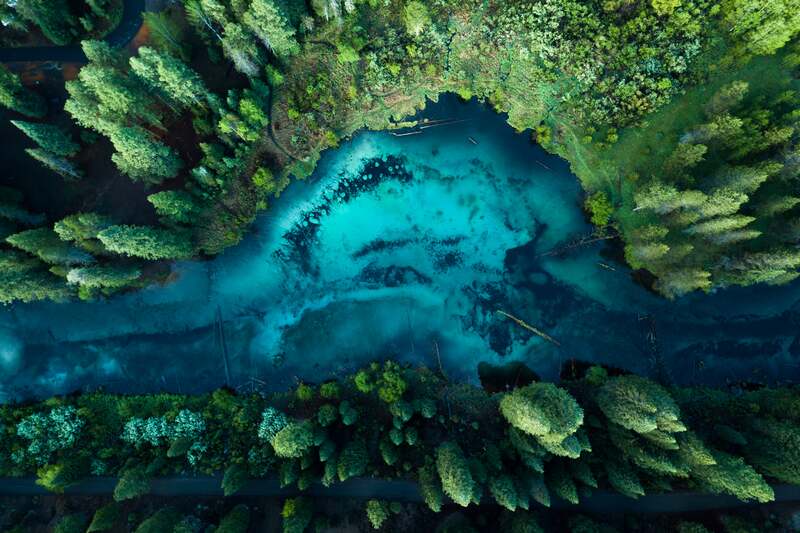 The area offered tall pine trees and a river. Since they visited in early season, they had the entire space to themselves. 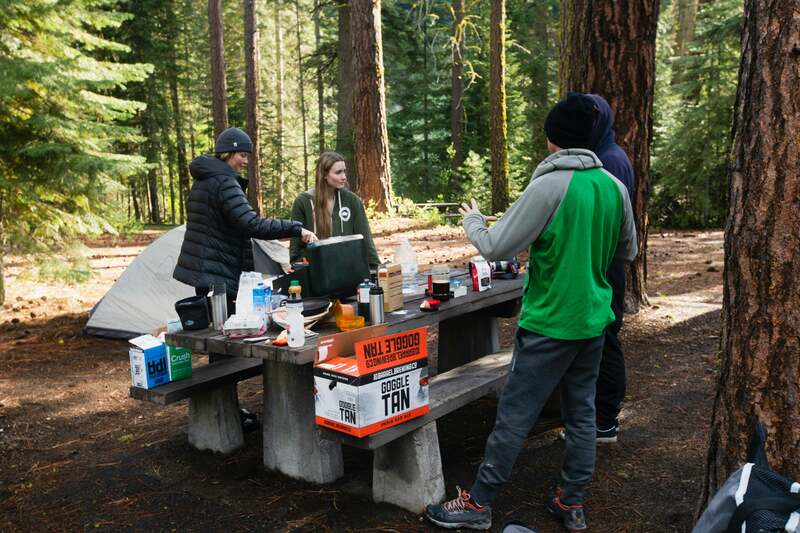 Next stop on the ski trip: Prairie Campground and the spoils of Central Oregon: Deschutes National Forest and Three Sisters Wilderness. “The lots are spacious and sit just above a meadow with a meandering stream through it,” Eric said about Prairie. While they woke up to some less-than-ideal early morning construction, the open layout and fresh water nearby made up for it. I met them after their stay in Prairie to ski Tumalo Mountain, a mellow and beautiful tour that offers 360-degree views of the surrounding mountainous landscape. Once we were at the top of the hike, the mountain gives way to a giant, steep bowl on the backside. The guys trudged around, looking for the best features to shoot in their film. After they found the best kicker jump, we were ready to ski down. Their love for the sport was evident as they made technical, dialed turns between rocks on the soft spring snow. One after another, they pointed their skis to the bottom of the hill and locked into a form both flowy and rigid. On skis, they’d come home. It’s no surprise that their stoke propels Snowledge. I’ve always thought with passion and dedication comes success. 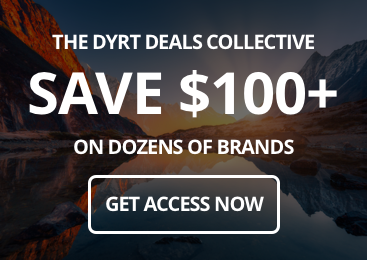 These guys are living proof that your passion can become your life’s work. After our day on the hill, we came back to the parking lot to share beer from Ten Barrel Brewing and tell stories around our relentless ski stoke. I couldn’t join them as their tour continued, and it sounds like I missed out. Predominantly known for over 1,500 pitches of rock climbing, Smith is a Central Oregon staple. 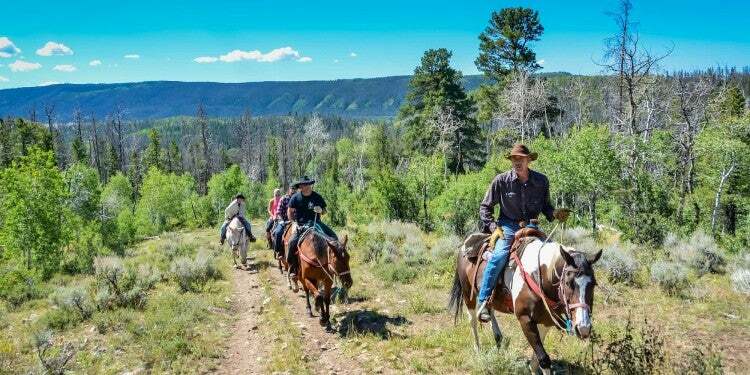 There are miles of well-maintained trails, and a community-like feel to the campground. 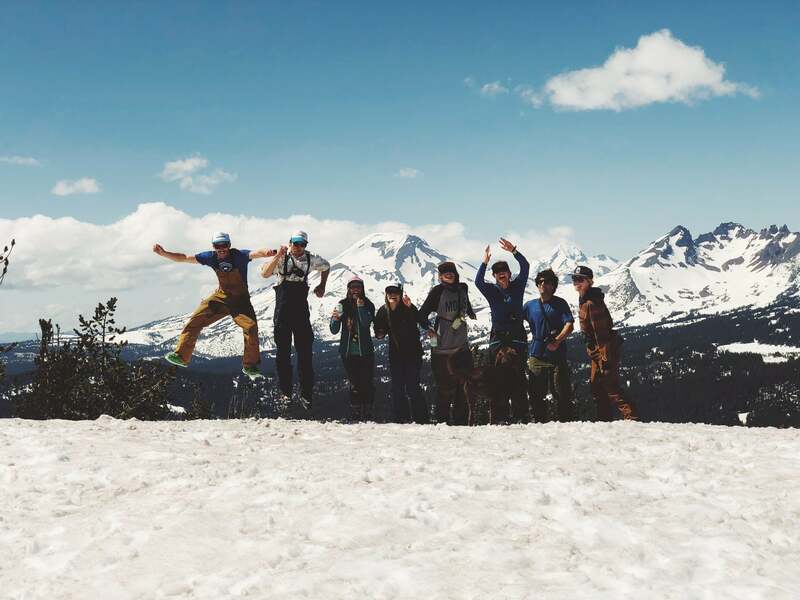 Their #PacificNorthQuest ski trip ended on Mt. Hood, one of the most popular volcanos in the Pacific Northwest due to its accessibility — it’s just an hour outside of Portland. Year-round, lifts turn on the Palmer Glacier, allowing skiers to experience joy from December to August. For skiers, touring up to Illumination Rock provides a moderate and stunning view of Jefferson, Adams, St. Helens, and more.